This NASA graphic displays all of the astronomical light sources included in the new NASA/IPAC Extragalactic Database, an online catalog of more than 100,000 galaxies. One of the most basic questions in astronomy is how far away something is. Now, a new catalog of objects will help scientists answer that question for tens of thousands of objects that are so far away they date back to the beginning of the universe. The catalog is part of the NASA/IPAC Extragalactic Database (NED), an online database containing information on more than 100 million galaxies, and is called NED-D. The more objects the catalog has in it, the easier it is to figure out how big the universe actually is and how fast it is expanding, NASA officials said in a statement. To measure the distances to other galaxies, astronomers use bright objects as "standard candles." For example, certain kinds of supernovas called type Ia and variable stars called Cepheids either have specific brightness levels or change in particular ways. In addition, scientists can use other properties related to distance to figure out how far away objects are. The more such objects scientists have to compare to each other, the more accurate the distance estimates will be, NASA officials said. The data from NED-D showed that there are dozens of indicators used to estimate such distances. NED-D started in 2005, when Steer put together a small database. He began serving at NED in 2006 to add to the database, using astronomical studies posted online and identifying newly calculated distance estimates. He also included new analyses of older data. NED-D now has more than 166,000 estimates of distance for more than 77,000 galaxies, along with some faraway supernovas and gamma-ray bursts. Such databases are especially useful because they can be searched for new phenomena that astronomers might have missed before, NASA officials said. For example, researchers pored over NED data from a million galaxies and reported, this past year, a class of galaxies that was exceptionally bright (called superluminous galaxies). 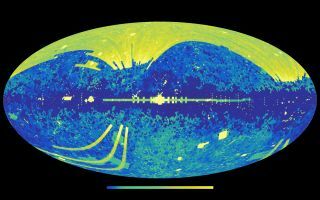 "Using NED today, astronomers can sift through mountains of 'big data' and discover additional new and amazing perspectives on our universe," Steer said in a press release. The public can access the NED online catalog here: http://ned.ipac.caltech.edu/. A report about the database appears in the January 2017 issue of The Astronomical Journal.